"Ducati" redirects here. For the parent group, see Ducati (company). Ducati Motor Holding S.p.A. is the motorcycle-manufacturing division of Italian company Ducati, headquartered in Bologna, Italy. The company is owned by German automotive manufacturer Audi through its Italian subsidiary Lamborghini, which is in turn owned by the Volkswagen Group. In 1926 Antonio Cavalieri Ducati and his three sons, Adriano, Marcello, and Bruno Cavalieri Ducati founded Società Scientifica Radio Brevetti Ducati in Bologna to produce vacuum tubes, condensers and other radio components. In 1935 they had become successful enough to enable construction of a new factory in the Borgo Panigale area of the city. Production was maintained during World War II, despite the Ducati factory being a repeated target of Allied bombing. In 1950, after more than 200,000 Cucciolos had been sold, in collaboration with SIATA, the Ducati firm finally offered its own Cucciolo-based motorcycle. This first Ducati motorcycle was a 48 cc bike weighing 98 pounds (44 kg), with a top speed of 40 mph (64 km/h), and had a 15 mm carburetor (0.59-inch) giving just under 200 mpg‑US (1.2 L/100 km; 240 mpg‑imp). Ducati soon dropped the Cucciolo name in favor of "55M" and "65TL". 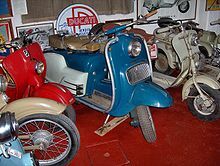 In 1953, management split the company into two separate entities, Ducati Meccanica SpA and Ducati Elettronica, in acknowledgment of its diverging motorcycle and electronics product lines. Dr. Giuseppe Montano took over as head of Ducati Meccanica SpA and the Borgo Panigale factory was modernized with government assistance. By 1954, Ducati Meccanica SpA had increased production to 120 bikes a day. In the 1960s, Ducati earned its place in motorcycling history by producing the fastest 250 cc road bike then available, the Mach 1. In the 1970s Ducati began producing large-displacement V-twin motorcycles and in 1973, released a V-twin with the trademarked desmodromic valve design. In 1985, Cagiva bought Ducati and planned to rebadge Ducati motorcycles with the "Cagiva" name. By the time the purchase was completed, Cagiva kept the "Ducati" name on its motorcycles. Eleven years later, in 1996, Cagiva accepted the offer from Texas Pacific Group and sold a 51% stake in the company for US$325 million; then, in 1998, Texas Pacific Group bought most of the remaining 49% to become the sole owner of Ducati. In 1999, TPG issued an initial public offering of Ducati stock and renamed the company "Ducati Motor Holding SpA". TPG sold over 65% of its shares in Ducati, leaving TPG the majority shareholder. In December 2005, Ducati returned to Italian ownership with the sale of Texas Pacific's stake (minus one share) to Investindustrial Holdings, the investment fund of Carlo and Andrea Bonomi. In April 2012, Volkswagen Group's Audi subsidiary announced its intention to buy Ducati for €860 million (US$1.2 billion). Volkswagen chairman Ferdinand Piëch, a motorcycle enthusiast, had long coveted Ducati, and had regretted that he passed up an opportunity to buy the company from the Italian government in 1984. Analysts doubted a tiny motorcycle maker would have a meaningful effect on a company the size of Volkswagen, commenting that the acquisition has "a trophy feel to it," and, "is driven by VW's passion for nameplates rather than industrial or financial logic". Italian luxury car brand Lamborghini was strengthened under VW ownership. AUDI AG's Automobili Lamborghini S.p.A. subsidiary acquired 100 percent of the shares of Ducati Motor Holding S.p.A. on 19 July 2012 for €747 million (US$909 million). Since 1926, Ducati has been owned by a number of groups and companies. 2005–2008 – Investindustrial Holdings S.p.A.
2008–2012 – Performance Motorcycles S.p.A.
19 July 2012 – present – Automobili Lamborghini S.p.A.
From the 1960s to the 1990s, the Spanish company MotoTrans licensed Ducati engines and produced motorcycles that, although they incorporated subtle differences, were clearly Ducati-derived. MotoTrans's most notable machine was the 250 cc 24 Horas (Spanish for "24 hours"). Ducati is best known for high-performance motorcycles characterized by large-capacity four-stroke, 90° V-twin engines, with a desmodromic valve design. Ducati refers to this configuration as L-twin because one cylinder is vertical while the other is horizontal, making it look like a letter "L". Modern Ducatis remain among the dominant performance motorcycles available today partly because of the desmodromic valve design, which is nearing its 50th year of use. Desmodromic valves are closed with a separate, dedicated cam lobe and lifter instead of the conventional valve springs used in most internal combustion engines in consumer vehicles. This allows the cams to have a more radical profile, thus opening and closing the valves more quickly without the risk of valve-float, which causes a loss of power that is likely when using a "passive" closing mechanism under the same conditions. While most other manufacturers use wet clutches (with the spinning parts bathed in oil) Ducati previously used multiplate dry clutches in many of their motorcycles. The dry clutch eliminates the power loss from oil viscosity drag on the engine, even though the engagement may not be as smooth as the oil-bath versions, but the clutch plates can wear more rapidly. Ducati has converted to wet clutches across their current product lines. Ducati also extensively uses a trellis frame, although Ducati's MotoGP project broke with this tradition by introducing a revolutionary carbon fibre frame for the Ducati Desmosedici GP9. The chief designer of most Ducati motorcycles in the 1950s was Fabio Taglioni (1920–2001). His designs ranged from the small single-cylinder machines that were successful in the Italian 'street races' to the large-capacity twins of the 1980s. Ducati introduced the Pantah in 1979; its engine was updated in the 1990s in the Ducati SuperSport (SS) series. All modern Ducati engines are derivatives of the Pantah, which uses a toothed belt to actuate the engine's valves. Taglioni used the Cavallino Rampante (identified with the Ferrari brand) on his Ducati motorbikes, Taglioni chose this emblem of courage and daring as a sign of respect and admiration for Francesco Baracca, a heroic World War I fighter pilot who died during an air raid in 1918. Ducati also targeted the offroad market with the two-stroke Regolarità 125, building 3,486 models from 1975 to 1979, but the bike was not successful. In 1975, the company introduced the 860 GT, designed by noted car stylist Giorgetto Giugiaro. Its angular lines were unique, but raised handlebars made for an uncomfortable seating position at high speeds and also caused steering issues. Ducati's liquid-cooled, multi-valve V-twins, made from 1985 on, are known as Desmoquattro ("desmodromic valve four"). These include the 851, 916 and 996, 999 and a few predecessors and derivatives. The Ducati Paso was introduced in 1986 with the Paso 750, followed in 1989 with the Paso 906. The final version came in 1991 with the 907IE (Iniezione Elettronica), now without the name "Paso". The design was from the hand of Massimo Tamburini, who also designed the Ducati 916 and MV Agusta F4. The Paso was a typical "you love it, you hate it" bike. However, at that time it looked like that all-enclosed bodywork would be the future for all motorcycles. The Paso design was copied for the Moto Morini Dart 400 and Cagiva Freccia 125. Together with Tamburini's Bimota DB1, they were enormously influential in terms of styling. In 1993, Miguel Angel Galluzzi introduced the Ducati Monster, a naked bike with exposed trellis and engine. Today the Monster accounts for almost half of the company's worldwide sales. The Monster has undergone the most changes of any motorcycle that Ducati has ever produced. In 1993, Pierre Terblanche, Massimo Bordi and Claudio Domenicali designed the Ducati Supermono. 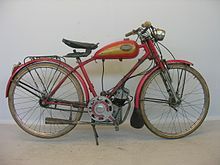 A 550 cc single-cylinder lightweight "Catalog Racer". Only 67 were built between 1993 and 1997. In 1994, the company introduced the Ducati 916 model designed by Massimo Tamburini, a water-cooled version that allowed for higher output levels and a striking new bodywork that had aggressive lines, an underseat exhaust, and a single-sided swingarm. Ducati has since ceased production of the 916, supplanting it (and its progeny, the 748, 996 and 998) with the 749 and 999. In 2006, the retro-styled Ducati PaulSmart 1000 LE was released, which shared styling cues with the 1973 750 SuperSport (itself a production replica of Paul Smart's 1972 race winning 750 Imola Desmo), as one of a SportClassic series representing the 750 GT, 750 Sport, and 750 SuperSport Ducati motorcycles. Ducati has produced several styles of motorcycle engines, including varying the number of cylinders, type of valve actuation and fuel delivery. Ducati is best known for its V-twin engine, called an L-twin by the company, which is the powerplant in the majority of Ducati-marqued motorcycles. Ducati has also manufactured engines with one, two, three or four cylinders; operated by pull rod valves and push rod valves; single, double and triple overhead camshafts; two-stroke and even at one stage manufactured small diesel engines, many of which were used to power boats, generators, garden machinery and emergency pumps (for example, for fire fighting). The engines were the IS series from 7 to 22 hp (5.2 to 16.4 kW) air-cooled and the larger twin DM series water- and air-cooled. The engines have been found in all parts of the globe. Wisconsin Diesel even assembled and "badge engineered" the engines in the USA. They have also produced outboard motors for marine use. Currently, Ducati makes no other engines except for its motorcycles. On current Ducati motors, except for the Desmosedici and 1199 Panigale, the valves are actuated by a standard valve cam shaft which is rotated by a timing belt driven by the motor directly. The teeth on the belt keep the camshaft drive pulleys indexed. On older Ducati motors, prior to 1986, drive was by solid shaft that transferred to the camshaft through bevel-cut gears. This method of valve actuation was used on many of Ducati's older single-cylinder motorcycles — the shaft tube is visible on the outside of the cylinder. Ducati is also famous for using the desmodromic valve system championed by engineer and designer Fabio Taglioni, though the firm has also used engines that use valve springs to close their valves. In the early days, Ducati reserved the desmodromic valve heads for its higher performance bikes and its race bikes. These valves do not suffer from valve float at high engine speeds, thus a desmodromic engine is capable of far higher revolutions than a similarly configured engine with traditional spring-valve heads. In the 1960s and 1970s, Ducati produced a wide range of small two-stroke bikes, mainly sub-100 cc capacities. Large quantities of some models were exported to the United States. belt actuated, desmodromic valved : 549/572 cc Supermono, only 65 made. belt actuated, desmo valved (V-twin): Almost all motors since 1986.
pushrod actuated, spring valved (V4): Prototype Apollo, only two made. A key part of Ducati's marketing strategy since the 1990s has been fostering a distinct community identity in connection with branding efforts including online communities and local, regional and national Ducati enthusiast clubs. There are more than 400 Ducati clubs worldwide and 20,000 registered users of the Ducati Owners Club web site and 17,000 subscribers to the racing web site. Enthusiasts and riders are informally referred to in the motorcycling community as Ducatista (singular) or Ducatisti (plural). In North America there are several Ducati enthusiasts organizations with varying degrees of factory sponsorship, such as the Bay Area Desmo Owners Club (BADOC) located in and around the city of San Francisco, CA. DESMO, the Ducati Enthusiast Sport Motorcycle Organization, is a North American group affiliated with the factory Desmo Owners Club. Some groups are focused on vintage Ducatis while several are based primarily or entirely on email discussion lists or web forums. Ducati has a wide range of accessories, lifestyle products and co-branded merchandise bearing their logos and designs. The company has a licensing agreement with Tumi Inc., launching a collection of eight co-branded luggage pieces in 2006, sold through both of the brands' retail outlets. Ducati's history with motorsport began with speed records on Cucciolo motorized bicycle factory racers in 1951, followed in 1954 with bringing in Fabio Taglioni to found a road-racing program with the 100 Gran Sport. As of 2009[update], Ducati was still pursuing the "win on Sunday, sell on Monday" business model and spending 10% of company revenues, €40 million, on its racing business. Ducati rejoined Grand Prix motorcycle racing in 2003, after a 30-year absence. On 23 September 2007, Casey Stoner clinched his and Ducati's first Grand Prix World Championship. When Ducati re-joined MotoGP in 2003, MotoGP had changed its rules to allow four-stroke 990 cc engines to race. At the time Ducati was the fastest bike. In 2007, MotoGP reduced the engine size to 800 cc (49 cu in), and Ducati continued to be the fastest with a bike that was markedly quicker than its rivals as was displayed by Casey Stoner on tracks with long straights. For 2009, Ducati Marlboro Team campaigned their Desmosedici GP9 with former World Champions Casey Stoner and Nicky Hayden. Ducati also supplied customer bikes to Pramac Racing, with Mika Kallio and Niccolò Canepa riding for the team in 2009. Nine-time world champion Valentino Rossi rode for Ducati Corse for the 2011 and 2012 seasons. Rossi returned to the Yamaha team for the 2013 season. For 2013, Ducati Marlboro Team raced with Nicky Hayden and the Italian rider Andrea Dovizioso. In 2014 Cal Crutchlow teamed up with Dovizioso for the season, and he left at the end of the year. In 2015, Ducati Marlboro Team, under the control of the new race team director Gigi Dall'Igna and the new Desmosedici GP15, raced with two Italian riders: Andrea Dovizioso and Andrea Iannone. Dovizioso and Iannone returned for another season in 2016 with Michele Pirro as official tester. As well as this, Casey Stoner also tested Ducati machinery during the season. In 2017, Ducati Marlboro Team will race another season with Andrea Dovizioso and his new teammate Jorge Lorenzo, who has joined the Ducati team from Yamaha Factory Racing with a two seasons contract. The company has won 14 riders world championships and 17 manufacturers world championships, competing since the series' inception in 1988. At the end of 2015, Ducati has amassed 318 wins, more than any other manufacturer involved in the championship. Ducati has also won the manufacturer world championship for years 1991–1996, 1998–2004, 2006, 2008–2009 and 2011. Ducati has also won the manufacturers' championship for years 2008–2009, 2011 and 2016. Ducati has won the British Superbike Championship ten times. In the AMA Superbike Championship, Ducati has had its share of success, with Doug Polen winning the title in 1993 and Troy Corser the following year in 1994. Ducati has entered a bike in every AMA Superbike season since 1986, but withdrew from the series after the 2006 season. Ducati had an important place in early Superbike racing history in the United States and vice versa: In 1977, Cycle magazine editors Cook Neilson and Phil Schilling took a Ducati 750SS to first place at Daytona in the second-ever season of AMA Superbike racing. "Neilson retired from racing at the end of the year, but the bike he and Schilling built — nicknamed Old Blue for its blue livery — became a legend," says Richard Backus from Motorcycle Classics: "How big a legend? Big enough for Ducati to team with Italian specialty builder NCR to craft a limited-edition update, New Blue, based on the 2007 Sport 1000S, and big enough to inspire the crew at the Barber Vintage Motorsports Museum (see Barber Motorsports Park), arguably one of the most important motorcycle museums in the world, to commission Ducati specialist Rich Lambrechts to craft a bolt-by-bolt replica for its collection. The finished bike's name? Deja Blue." Ducati's first ever world title was the 1978 TT Formula 1 World Championship, achieved thanks to Mike Hailwood's victory at the Isle of Man TT. Between 1981 and 1984 Tony Rutter won four TT Formula 2 World Championships riding Ducati bikes. ^ "Ducati Group: nel 2015 vendite, fatturato e risultato in crescita" [Ducati Group: sales in 2015, sales and earnings growth]. Ducati (in Italian). Ducati Motor Holding S.p.A. 3 March 2016. Retrieved 9 August 2016. ^ a b c d "Audi Interim Financial Report 2012" (PDF). AUDI AG. 23 July 2012. Archived from the original (PDF) on 2 August 2012. Retrieved 2 August 2012. Effective July 19, 2012, the Audi Group acquired 100 percent of the voting rights in the motorcycle manufacturer Ducati Motor Holding S.p.A., Bologna (Italy) via Automobili Lamborghini S.p.A., Sant'Agata Bolognese (Italy), a subsidiary of AUDI AG for a purchase price of EUR 747 million. ^ "Mach 1". ducati.com. Retrieved 25 January 2007. ^ "DUCATI MOTOR HOLDING SPA, Form 20-F, Annual and Transition Report (foreign private issuer), Filing Date Jun 30, 2004". secdatabase.com. Retrieved May 14, 2018. ^ "History of the Motorcycle". mecossemi.com. Retrieved 25 January 2007. ^ Cremer, Andreas; Hetzner, Christiaan (17 April 2012). "UPDATE 2-Audi to pay about 860 mln euros for Ducati". Thomson Reuters. Reuters. Retrieved 17 April 2012. ^ Ian Falloon (10 August 2006). The Ducati Bible. Veloce Publishing. ISBN 978-1-84584-012-9. Retrieved 15 October 2010. ^ The Ducati Bible: 860, 900 & Mille, Ian Falloon. Retrieved 2010-01-21. ^ Chili sv (8 August 2008). "Ducati to be sold to Performance Motorcycles SpA, taken private – Hell For Leather". HellforLeathermagazine.com. Archived from the original on 16 January 2009. Retrieved 14 June 2009. ^ Lodi, Livio (2009). "History of the Ducati Logo: The 1990s and beyond". Ducati Motor Holding S.p.A.
^ "History of the Two-Valve Twin". Ducati.com. Retrieved 25 January 2008. ^ "Desmo for Dummies". Ducati.com. Retrieved 25 January 2008. ^ "What is in an oil". yamaha-motor.ca. Archived from the original on 17 November 2007. Retrieved 25 January 2008. ^ "Fabio Taglioni: a Legend". ducati.com. Retrieved 25 January 2008. ^ Alan Cathcart (January–February 2011). "Ducati Regolarità 125". Motorcycle Classics. Retrieved 15 December 2011. ^ Roland Brown (July–August 2011). "1975 Ducati 860GT". Motorcycle Classics. Retrieved 18 July 2011. ^ "Desmo 2 Valve History". monsta.at. Archived from the original on 17 February 2005. Retrieved 25 January 2008. ^ "Ducati Official History (The 916)". Ducati Motor Holdings. Retrieved 22 June 2008. ^ a b c d e f g h "Previous Model Years". Ducati Motor Holding SpA. 2009. ^ "Monster". Ducati Motor Holding SpA. 2010. ^ a b c d "2010 Ducati Motorcycles". Total Motorcycle Website. 2010. ^ a b c d "Ducati North America BIKES". Ducati Motor Holding SpA. 2010. ^ "Multistrada". Ducati Motor Holding SpA. 2010. ^ "The name is Diavel". Ducati. 17 December 2009. Retrieved 15 October 2010. ^ "Superbike". Ducati Motor Holding SpA. 2010. ^ "BIKES Hypermotard". Ducati Motor Holding SpA. 2010. ^ Jelassi, Tawfik; Leenen, Stefanie (June 27–29, 2001). "EMBARKING ON E-BUSINESS AT DUCATI MOTORCYCLES (ITALY)" (PDF). Bled, Slovenia: Global Co-Operation in the New Millennium The 9th European Conference on Information Systems. Archived from the original (PDF) on 2011-02-21. ^ "Desmo Owners Club". Ducati Motor Holding. 2009. Archived from the original on 2009-07-02. ^ "Ducati Vintage Club Homepage". ^ Duglin Kennedy, Shirley (2005). The Savvy Guide to Motorcycles. Indy Tech Publishing. ISBN 9780790613161. ^ "Tumi Time: Tumi+Ducati Collection". Business Week. 24 January 2007. Retrieved 28 March 2009. ^ "2003 Ducati MotoGP Team". ducati.com. Archived from the original on 20 December 2007. Retrieved 25 January 2008. ^ "Nicky Hayden joins Ducati". Crash.net. Crash Media Group. 15 September 2008. Retrieved 9 August 2016. Hayden's Ducati move, which will see the 27-year-old line-up alongside 2007 world champion Casey Stoner, has been considered a done deal for months. ^ "Pramac Racing announce Kallio and Canepa signings for 2009". MotoGP.com. Dorna Sports. 19 October 2008. Retrieved 9 August 2016. ^ Ducati (15 August 2010). "Rossi to ride for Ducati in 2011 (press release)". MotoGP.com Official Website. Retrieved 18 August 2010. ^ Fiat Yamaha (15 August 2010). "Yamaha and Valentino Rossi to part company at end of 2010 (press release)". MotoGP.com Official Website. Retrieved 18 August 2010. ^ McLaren, Peter (26 March 2016). "Casey Stoner: 'We can tick the engine off our list...'". Crash.net. Crash Media Group. Retrieved 28 March 2016. "It's very, very quick!" Stoner said during his private test at the same Losail circuit on Monday. ^ Minoli, Federico (22 August 2006). "AMA Next Year". ducati.com. Archived from the original on 20 December 2007. Retrieved 25 January 2008. ^ Williams, Evan (8 March 2007). "Ducati AMA Superbike Streak Ends". superbikeplanet.com. Archived from the original on 16 May 2007. Retrieved 25 January 2008. ^ Adams, Dean (22 August 2006). "Bombshell: Ducati Pulls Out Of AMA Superbike". Superbikeplanet.net. Archived from the original on 30 September 2007. Retrieved 25 January 2008. ^ January/February 2009 By Richard Backus . "One famous Ducati 750SS". Motorcycleclassics.com. Retrieved 27 July 2009. 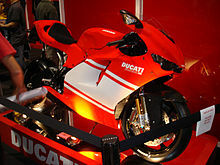 Wikimedia Commons has media related to Ducati.